AMD faced a technology decision – redevelop the existing legacy standard cost and inventory system, or identify a third party costing system that would fit into their current architecture. The decision was not a simple one because they, like all semiconductor manufacturers, have to consider the complicated set of calculations to value existing inventory and compute inventory reserves. To find a cost system that could handle their complex calculations would require rigorous evaluation by the company’s cost management leaders. Detailed information at the work center stage is vital to AMD’s ability to track Work-in-Process (WIP) and Finished Goods costs. The only way to accurately reflect costs is to aggregate these detailed cost values in any number of combinations to compute individual component and end-consumer product costs. The aggregate data is also used to calculate inventory reserve costs for Research and Development, Demand and Lower Cost of Market accounts. AMD needed to identify a costing solution that could systematically provide cost information at any level of detail. Additionally, the company wanted to increase exposure of cost data to managers in their fabrication facilities to improve business performance. With 30 active cost data users across all locations and the company’s headquarters, AMD realized that new strategy for rolling up costs was required to easily disseminate accurate costing numbers in a timely manner. There are over 80,000 individual cost objects and five production facilities worldwide involved in producing AMD’s catalog of products. The company’s in-house legacy system that housed standard cost and inventory valuation data had become outdated and required significant investment to upgrade within the short timeframe. Moreover, many recently installed systems did not have the functionality to handle the complexities of their WIP, Finished Goods and Inventory Reserve computation requirements. Existing systems include typical ERP financial modules, third-party systems for rate building and budgeting, and an internally-developed manufacturing execution system. • Work Center: First level of costs for semiconductor processing. Typical semiconductor processes include activities like die, assembly and test. • Work-in-Process: As chips are moved through production, they pick up additional costs based on their level of completeness. • Finished Goods: Once a discreet chip is produced, the work center and WIP costs are brought together to give a final, unique cost to the product. • End-Consumer: Discreet chips are then combined and packaged with others to create products that are sold to consumers for use in any number of electronic devices. Additionally, the company’s business leaders, realizing that knowledge is the key to improved performance, wanted to increase exposure of important cost information to their facilities worldwide. By implementing ImpactECS, AMD could design cost models to track costs at each production stage to provide the breadth of information needed by plant personnel, cost managers and business leaders alike. AMD selected ImpactECS after an arduous testing and prototyping period where 3C Software consultants demonstrated the system’s ability to handle the complicated and intricate costing calculations required to accurately compute costs and value inventory. And, while ImpactECS offers rate building and budgeting tools, the flexibility of the solution allowed AMD to capitalize on previous investments in those systems and still achieve accurate costing and valuation results. The implementations focused on developing both detailed and aggregated cost data at different stages of the compan’s production process. Figure 1 shows how ImpactECS shares cost and valuation information with other systems to help AMD develop an integrated view of costs throughout their production process. To start, expected spending information is fed from the budgeting system the local site rate building system. The appropriate rates are calculated for each work center, and are input directly into ImpactECS. The manufacturing execution system delivers information on inventory throughput to the costing system to calculate costs at each work center. This cost information, along with the throughput stats, is combined with other information to produce the Earns Report determining which work centers are profitable. ImpactECS also calculates the detailed cost values for each work center and aggregate them according to each discreet chip’s product specifications. Once the lowest level of cost detail is calculated, the values are aggregated to provide work-in-process (WIP) costs. At this stage, cost managers can determine Ending on Hand (EOH) inventory which give cost managers a snapshot view of inventory at a specific time. This information becomes useful in month-end closing so AMD can accurately reflect their current inventory assets anywhere in the production process. Each type of discreet chip manufactured is associated with a unique cost which is the aggregate of all the previous costs incurred in production. 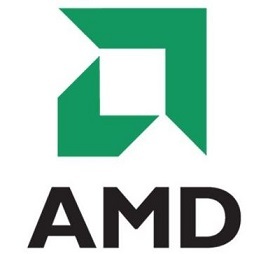 These chips are Finished Goods in AMD’s accounting practices and the costs and valuation information is compiled and exported to the company’s ERP system to complete their required financial reporting. In the competitive semiconductor market, manufacturers create new families of products by combining discreet chips together. The cost values of the discreet chips are aggregated once more to deliver the costs for end-consumer product lines. Combining cost data at this level becomes vital to marketers and accountants interested in the implication of costs to their various product lines and families. This data is used in a number of reports for business leaders across AMD. Research and Development: Even when products are in the design phase, there is still a significant inventory cost associated with it. This account tracks the amount of work-in-process in any stage of the research and development process. Demand: Because the semiconductor industry experiences with extremely short product life cycles, product demand falls dramatically within a very short timeframe. When the demand for a product becomes non-existent, the value of product’s existing inventory is tracked in this account. Lower Cost of Market: Typically when competing products are introduced to the market, it is generally followed by a price discounts to grow market share. While there is still some demand for the products, the current market value is lower than the cost to manufacture the product. While AMD continues to identify ways to improve the use of ImpactECS within their costing processes, they have achieved significant improvements from their previous methods. Their focus has shifted from finding ways to collect data to using the collected data to make better business decisions. With their legacy costing system, AMD had two cost personnel each working four days to complete their inventory valuation. ImpactECS makes it possible for a significant reduction in the amount of time spent for their monthly closing process, requiring only one person to complete the entire process in just one day. By moving all calculations inside one application, AMD significantly improved the integrity of cost data and speed of calculating results has improved. Now the closing process involves more data analysis activities instead of editing data to make sure it is accurate. The new system allows AMD to analyze profitability and validate yield assumptions for complicated product flows for an entire new family of AMD products. With over two million units per quarter sold in just one product line, incorrect assumptions can easily cost the company millions of dollars. ImpactECS’ design allows users to quickly calculate costs and identify errors to improve profits. The ImpactECS Enterprise Web Client has also given AMD’s international locations immediate access to cost data so they can make better operating decisions. All users are able to access the exact same cost data from the centralized server. By choosing the complete costing solution from ImpactECS, semiconductor companies like AMD are able to improve their competitive advantage through effective cost management. Its flexibility allows their cost managers around the world to accurately model complicated process flows and valuation calculations to improve their view of business performance and profitability.